For those or you who came here by way of Freshly Pressed, I need you to keep an open mind when it comes to this blog’s premise. The exploration of storytelling in all its forms. Not just the forms you like, not just the forms I like. I’m making such a disclaimer because of my next confession. I’m a nerd. Before I was a dancer, writer or actor, I was a nerd. If you’re not one I will allow His Majesty Wil Wheaton, King of the Nerds, explain to you what it means to be one. The following was recorded by a new mother, who asked our king to leave a message behind for her newborn daughter on why it’s awesome to be a nerd. Beautiful, right? I’m not crying. I’m just leaking liquid pride. I want to have a kid just so I can play that back for him/her. Although this particular speech happened at the Calgary Comic Expo a few months prior to the Comic Con I attended, it was the subject of much conversation. This speech became the theme of the only experience at Comic Con worth telling all of you. Not that the celebrities, previews and cosplayers weren’t awesome. It’s just that this story, one I haven’t told anyone yet, had such a profound effect on me that it rendered all else moot. I’ll have that story for you on Tuesday. This entry was posted in Uncategorized and tagged Comic, San Diego Comic-Con International on September 14, 2013 by ataugustine. If you’re a movie star, you get the girl, you lose the girl, then you get her back. But if you’re a character like me, you lose the girl, then you get another one, and then you get another one, then you lose them all, then you lose your life. It’s all very different. And it’s fascinating for me. Fall is on its way and I can’t wait to see some of my favorite characters again: Big Bang Theory’s Sheldon Cooper, Community‘s Troy and Abed, and my favorite, New Girl‘s Schmidt. Take note: I didn’t mention any protagonists or main characters among this list of favorites. Not Jessica Day (New Girl), not Richard Castle (Castle), and definitely not that winey Ted Mosby (How I Met Your Mother). Great actors like Christoph Waltz, Olivia Spencer, and Michael Caine prefer roles like these, the supporting roles. Why? There are many reasons. I’ll name a few. This entry was posted in Analysis and tagged Barney Stinson, Christoph Waltz, enders game, Max Greenfield, Michael Caine, New Girl, Orson Scott Card, Sheldon Cooper, Storytelling on September 10, 2013 by ataugustine. It’s almost time to shoot the Schmidt! A little bit bout myself. I watch a lot of television. I mean a lot of television! And with an optimum combination of Hulu, appointment viewing, Netflix and DVR I’m able to watch it without compromising any social or professional time. Fall is on it’s way and I can’t wait to see some of my favorite characters again: Big Bang Theory’s Sheldon Cooper, Community‘s Troy and Abed, and my favorite, New Girl‘s Schmidt. Take note: I didn’t mention any protagonists or main characters among this list of favorites. Not Jessica Day (New Girl), not Richard Castle (Castle), and definitely not that winey Ted Mosby (How I Met Your Mother). On Tuesday we’ll be talking about the former three, not the later three, and how things may be changing for the show stealing supporting role. Until then, enjoy this montage of one of my favorite supporting characters of all time. This entry was posted in Uncategorized and tagged Big Bang Theory, Community, Hulu, Netflix, New Girl, Richard Castle, Schmidt, Sheldon Cooper on September 7, 2013 by ataugustine. Ah, high school. The social and academic proving grounds where so many of us learned so much about ourselves. It taught us a lot: algebra, history, social mores, and preparation for college, but it taught me an amazing lesson about writing that I haven’t forgotten to this day. For some of us, those four years were our prime. Thank god I wasn’t one of them. Others kept their heads down, blending into their cliques and peer groups like the camouflage of a chameleon… stuck in one hue. For plenty of us, however, it was Hell with a capital H. Now I need to make something clear-I wasn’t bullied, I wasn’t outright ridiculed, but I was forgotten and lonely, which at the time seemed just as bad. Most of this was because of me. I wasn’t the best student in the world. I was one of those guys who was intelligent, knew the material, but didn’t apply myself. Could’ve gotten into the AP classes, didn’t even try. The only classes I made consistently good grades in where the performance classes where my grade depended on what I did right then and there instead of what I did at home… which was nothing. In addition to this I was very socially awkward. I was that guy that acted out a joke ‘so well’ that people thought I was serious. I’m sure you guys know someone like that. Because of this I wasn’t the easiest guy to get along with, and it’s a wonder I wasn’t bullied on a daily basis. Because of this I wasted four years of my life pining for groups who didn’t want me. But was it a waste? It wasn’t until the summer after senior year that I met the group of friends who accepted me for who I was, an awkward social mutt. I remain connected with them to this day, and I’m indebted to them for helping me come to a great realization about who I was as a person, it literally(and I’m using that word correctly) hit me overnight. It was July 5th after a spectacular night of fireworks. I took an honest look at all of the attempts I had made to fit into each group, and made a mental list of everything I genuinely liked. It’s a long list, but I’ll shorten it. In my attempt to fit in with the Rockers, I found my love of Incubus, Dave Matthews Band, and a great respect for musicians who put on a good live show, thus leading me to John Meyer, Brad Paisley, and Maxwell. From the hip hop crowd, who hosted a freestyle cipher every day at lunch, I developed a healthy respect for the rhetorical devices used in the genre. Seriously. Look past the subject matter and the profanity; there’s good stuff there. I developed a love for Jay-Z, Talib Kweili, Childish Gambino, and Eminem -I sometimes find myself using his brand of alliteration in my writing-. The Choir Geeks, who turned me on to Classical Music, gave me a new respect for the various religions and belief systems around the world through their music, and I discovered the Mozart of our time, Eric Whitacre. Look up Water Night, and if you have ears, you will be moved. The Gamers taught me much. I didn’t appreciate the strategy of American Football until Madden, and Final Fantasy VII remains the shining example of how a video game can make you feel emotion through interaction in a way no other entertainment medium can. If you don’t know what I’m talking about, ask one of your gamer friends about the death of Aerith. In the end, I became a living breathing amalgamation of guilty pleasures born from each attempt to fit in with a particular crowd, an amalgamation that I genuinely liked. There was no compromising of values, there was no facade, just pride. And here lies the lesson in writing that I drew from this experience. If you find yourself reading and writing one genre, whether it be Romance, Science Fiction, Mainstream, or something else, and you feel like you’re doing quality work, I commend you. I envy those who have held steadfast to a chosen path, and one day I may read your book and be blown away. But if your personal library and your writing are a kaleidoscopic clash of different genres that sometimes leave you disoriented, take a trip back in time, open some of those books, analyze them and yourself, take from them what you genuinely like, and wear it with pride! This entry was posted in Journal on September 3, 2013 by ataugustine. Don’t refresh your screen. Don’t rub your eyes. What you see above is a championship that has stood the test of time in one form or another. The stories surrounding this belt and its lesser counterparts bring in a loyal audience, providing dependable ratings and life blood for up and coming television networks like USA Network and SyFy (we’ll talk about that questionable name change at a later date). These stories have been retold for more than four decades with new cast members and new twists, using various forms of media to immerse fans in a complex milieu. They manage to sell out stadiums made for teams that couldn’t hope to do the same. And the man that holds this belt has managed to develop an extremely diverse skillset: stage fighting, choreography, stunt work, public speaking, improvisation, marketing, and acting. Trust me. He’s earned this, and the fanfare that comes along with it. We’re not here just to talk about the WWE Championship, but World Wrestling Entertainment as a whole, and how it taught me a few very important lessons in storytelling. This entry was posted in Analysis and tagged Archetypes, DPchallenge, Pacing, postaday, Storytelling, Writing, WWE on August 27, 2013 by ataugustine. Trust me… Just trust me! We’ve explored the ensemble masterpiece authors couldn’t make up in the Superbowl, the body’s narrative in dance, and even the storytelling power of video games. I haven’t steered you wrong yet, have I? So I’m going to need you to trust me when I say there’s a criminally underrated tool for learning the mechanics of storytelling. This tool has been hiding under your nose for some time. A few of you are rabid fans, a few of you scoff at it the moment you see it, and more than a few of you secretly indulge in it as a guilty pleasure. Ratings don’t lie, and since I’m working under a pen name I have no problem admitting World Wrestling Entertainment taught me a lot about storytelling. Now before you unfollow Crown Town Scribe take a few minutes to view the tearful retirement speech of Mark Henry, one of the WWE’s most dominant superstars. WWE can teach storytellers and writers a great deal in terms of pacing, originality, audience perception, and as you saw plot twists. Find out more on Tuesday. This entry was posted in Uncategorized and tagged Arts, Associations, Mark Henry, Performing Arts, Storytelling, Video game, Wrestling, WWE on August 25, 2013 by ataugustine. Guest Blog: Are Video Games Literature? We’ve been talking about this a lot lately. Thought I’d give you a doctor’s point of view. 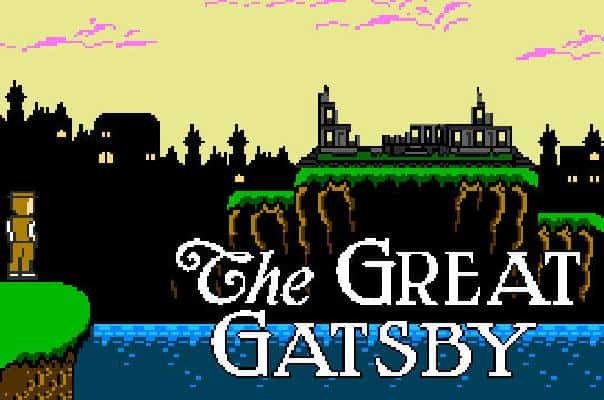 To ask “Are video games literature?” seems a pointless kind of question, like pondering whether a film is the same thing as a poem, or whether a Rembrandt painting tastes like cheese. Yet asking this question is a necessary provocation, because it helps us to think about how and why video games and literature might elicit similar reactions in their players or readers, even if they set about this process in quite different ways. This entry was posted in Uncategorized on August 21, 2013 by ataugustine. Freshly pressed like a fine linen three-piece suit!